As is so often the case, this little sweater practically knit itself, naming it, however, was another thing entirely. I had absolutely no inspiration for a name. Nothing came to me. At all. Absolute blank. I asked my testers, if they had any ideas, and one did. 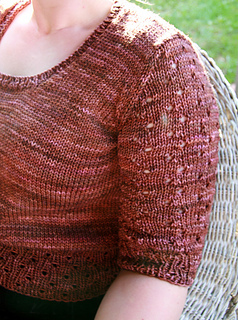 The eyelets in the ribbing reminded her of constellations, so she suggested Lyra. The constellation Lyra is shaped like Orpheus’ lyre. The more I thought about it, and the more I read about this charming constellation, the more perfect her idea was. Sold. 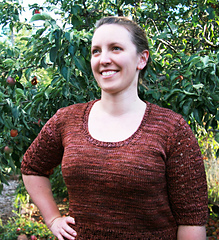 This little top is worked flat from the hem up, though notes are included for knitting it in the round. 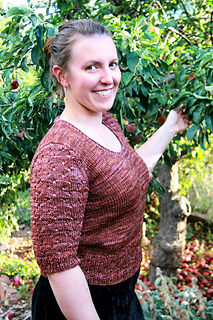 The sleeves are elbow length, and have a simple stitch pattern that mimics the ribbing, without the ribbing part. 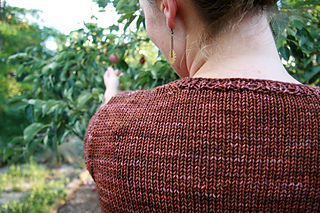 Sleeves can be worked flat from the hem up, or from the shoulder down with short rows, then in the round to the cuff.